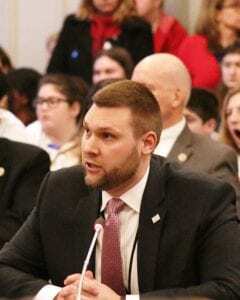 NJBIA’s Andrew Musick testified before both the Senate and Assembly Budget Committees this week, as they conducted public hearings on Governor Murphy’s FY 2020 Budget proposal. The public hearings are held annually throughout the state, as lawmakers examine the Governor’s proposed budget and tax priorities for FY 2020. 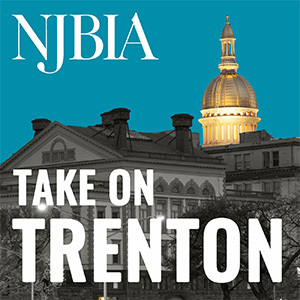 NJBIA continues to call for structural reforms and no new taxes as part of the final budget. Please read below for Musick’s testimony. On behalf of our member companies that provide more than 1 million jobs in the state and make us the largest statewide business association in the country, the New Jersey Business and Industry Association (NJBIA) thanks Chairwoman Pintor Marin and the members of the Assembly Budget Committee for allowing us to share the Association’s views on the FY 2020 State Budget, as proposed by Governor Murphy. Each year in the budget-making process, NJBIA advocates for a fiscally sound state budget that provides certainty and predictability for the business community. Our goal is to ensure that New Jersey will reclaim its stature as the innovation state; the home of economic vitality, business prosperity, workforce skill excellence and a great quality of life so that NJBIA members, and all New Jerseyans can grow and have sustainable development. Historically, when New Jersey has taken positive steps toward improving the state’s business climate, the result was a lowered tax burden for businesses and individuals. This is exactly what is needed to make New Jersey more affordable and competitive both regionally and nationally. Perhaps most importantly, these changes were achieved in a bipartisan fashion with meaningful input from the state’s business community and job-creators. However, New Jersey’s response to the federal Tax Cuts and Jobs Act (TCJA) and provisions included in the final FY 2019 State Budget presented challenges for the business community. Increases to both the Corporation Business Tax (CBT) and Gross Income Tax (GIT), along with the implementation of combined reporting and the treatment of global intangible low-taxed income (GILTI), make New Jersey a more expensive state in which to operate a business. We are already seeing evidence that these changes are increasing CBT revenues well beyond projections, while many of the changes have yet to take full effect. According to the FY 2020 budget proposal, the state has revised overall CBT projections for FY 2019, increasing them by $663 million. Furthermore, New Jersey’s treatment of GILTI takes the state out of alignment with many of its competitors. On the economic front, an updated NJBIA study once again finds New Jersey with the most unfavorable business climate in the region. This is attributed to the Garden State having the highest tax rates in the region; including, the top income tax rate, top corporate tax rate, top state sales tax rate, and highest property tax rate. All of these factors contribute to making New Jersey the least competitive state in our region. While New Jersey’s unemployment rate sits at 4 percent, we are seeing some concerning trends in our private sector job growth. While new jobs are being created in the state, over each of the past two years New Jersey is seeing a smaller gain in job growth than the prior year, as well as a smaller share as a percentage of national job growth trends. The budget process in New Jersey outlines the state’s priorities, both for the coming year and into the future. The Governor’s FY 2020 budget proposal represents a 3.2 percent increase compared to last fiscal year, and 11.2 percent from FY 2018. Included in the FY 2020 budget are proposals that are concerning because of the negative impact they may have on New Jersey’s competitiveness and affordability, for both individuals and businesses. The FY 2020 budget proposal includes a provision that would extend New Jersey’s top GIT rate of 10.75 percent, to all income earned over $1 million. The rate currently applies to income over $5 million. NJBIA has long opposed an increase in the state’s GIT for those earning over $1 million, as it will directly impact companies that provide jobs and help drive New Jersey’s economy. This includes the businesses which represent approximately 10 percent of all GIT revenue reported by companies in 2016. Over the past 12 years, New Jersey has experienced a net loss of nearly $25 billion in adjusted gross income, as businesses and residents look toward more tax-friendly states. Applying the top GIT rate to those earning $1 million will make the state less competitive within our region, especially our top two outmigration states of Pennsylvania and New York. Additionally, this provision comes at a time when the economy is faring relatively well and low unemployment exists. We are concerned about the impact that this would have on revenue volatility during a time of recession, as a recent report by Moody’s Investors Service discussed the dangers of relying on increased taxes on high income earners, especially without serious structural reforms. Furthermore, the proposal also comes on the heels of the implementation of a $10,000 cap in the federal SALT deduction; the economic impacts of which we still have not appreciated. It is important that New Jersey creates a competitive tax environment that encourages our residents to remain in the state. On another note, the FY 2020 budget proposal does not include the increased labor costs being born by the state’s Medicaid providers as a result of the recently enacted minimum wage legislation. If this matter is not addressed, an access to care issue will exist. Additionally, the impact on county and municipal spending to comply with the minimum wage increase is also not included. While the FY 2020 budget includes provisions that are concerning to the business community, we are encouraged to see a number of proposals aimed at improving the state’s finances. NJBIA is pleased to see that the FY 2020 budget proposal does include savings, the majority of which come from changes to government employee health benefits, along with governmental and departmental efficiencies and reduced operating expenses. While this is a good first step, NJBIA believes the state needs to immediately engage in structural reforms that comprehensively address underfunded pensions and rising health benefit costs to address our ever-increasing, long-term debt obligations. An NJBIA analysis finds the pension liability and postemployment benefit obligation has grown to over $151 billion, which equates to every New Jersey resident paying over $17,000 to cover the cost. Additionally, the state has experienced a 382 percent increase in long-term debt obligations over the past 10 years, while state expenses have grown 45 percent and revenues have grown only 23 percent in the same time period. The state’s outstanding obligations will require additional funding in future years, and it is unclear how this revenue will be generated. This creates uncertainty within the business community, and that must be avoided in order to achieve the goal of attracting and retaining investment and high-paying jobs in New Jersey. We know from our business community’s stated concerns that we cannot tax our way out of these obligations. In the past, administrations from both parties have diverted money from the Clean Energy Fund. We are encouraged to see the diversion cut nearly in half this year, leaving $71 million to be used for its intended purpose. For over a decade NJBIA has advocated that the BPU reduce the Societal Benefits Charge (SBC), which helps fund the clean energy program, to give ratepayers a reduction in cost. New Jersey business ratepayers pay government imposed taxes and surcharges that amount to close to 25 percent of their electric bill. We would ask that any Clean Energy Fund surplus be returned to ratepayers, instead of used to balance the general fund. We are also encouraged to see proposals that will help improve New Jersey’s future workforce, provide targeted tax relief for homeowners and families, and continue to improve the innovation economy. Continued funding for expanded computer science education and investment in STEM-focused high schools will help to prepare New Jersey’s current and future students, and ensure that New Jersey employers have a trained and skilled workforce. Measures such as funding for homestead benefits, a phased-in increase of the Earned Income Tax Credit (EITC) and the continuation of the state child and dependent care tax credit will help make New Jersey a more affordable place to live and raise a family. NJBIA released a report titled Indicators of Innovation earlier this year that shows New Jersey is at a challenging crossroads in its efforts to reclaim itself as the “Innovation State.” As such, we are encouraged to see the FY 2020 budget includes support for the re-established Commission on Science, Innovation, and Technology, and a revenue-neutral restructuring of the Angel Investor Tax Credit program. As the budget process continues, we look forward to working with you to ensure that the final budget reflects positively on New Jersey’s business community and creates a more competitive and affordable New Jersey. We ask that any proposals be considered as part of the overall cumulative increase on the cost of doing business that New Jersey job-creators are facing in the state. As our work reflects on a daily basis, NJBIA recognizes that having a competitive, affordable and thriving economy is vital to the success of New Jersey businesses across the state. Thank you and we appreciate your consideration of the concerns expressed by those who create jobs in our great state of New Jersey and the 1 million plus jobs our members provide. Should you have any questions or need further information, please feel free to contact me at 609-858-9512.